Puerh has always been a bit of a mystery tea for me, there seems so much to it and the older it is the better and I have kind of avoided drinking it out of not quite knowing what I am buying. I have bought some previously but found I really did not like it but this one from NTP is pretty nice. 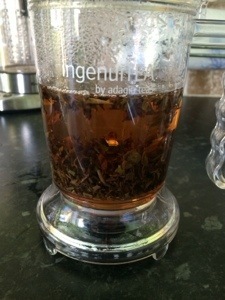 It brews up to a lovely dark colour after around 5 minutes brew time and is something a little different from my usual black teas from Assam, Ceylon or Kenya. I can’t see me drinking this on a regular basis but to break from my regular choices this is enjoyable enough. For a non Puerh drinking this was a good starting point. 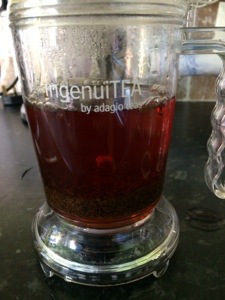 This was a curiosity tea that I was wanting to try – a smoky Ceylon. Now i’m no fan of Lapsang Souchong (it’s too intense) and I don’t mind Russian Caravan but this just get’s it right. The dried tea is smoked over cinnamon bark which gives it a lovely smoky taste but this aftertaste lingers in your mouth even after you have drank the liquor. Whereas some smoked teas feel like you have swallowed an ashtray, this is just really tasty and at no point does the smokiness become too much or ruin the drinking experience. When brewing it looks like a pint of guiness, it really does go that dark in colour but this is just a nice balance of taste and flavour. Well done PMD! 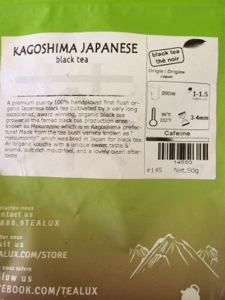 For a country that is always associated with Green Tea I was interested in trying this black tea. I brewed it up just off the boil, it is quite fine sized pieces of tea that don’t give off any discernable aroma when brewing. 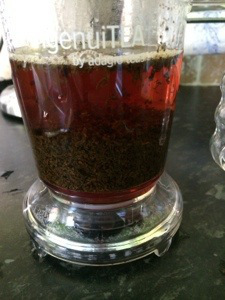 Once fully brewed you get a deep coloured brew similar to an Assam but to describe it’s taste is pretty difficult. 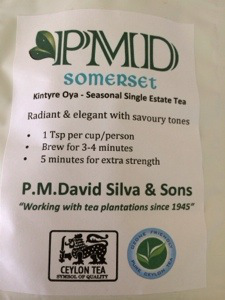 If you are a black tea drinker that likes Indian, Ceylon or African black teas then you might find this not to your liking. 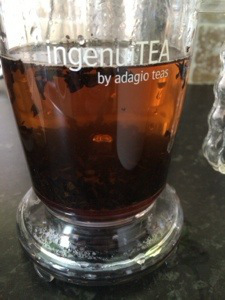 It is pretty mellow for a black tea and a pleasant drink but its hard to put into words exactly what it tastes like! It’s one to try for yourselves to see what you think of it, would I buy it again? No, I’ve tried it and thats enough but as a curiosity I’m happy to have bought some. This was a tea that I had seen and had wanted to try for sometime. 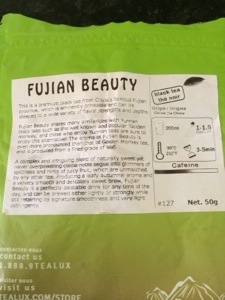 I like the Tealux site as they offer lots of weird and wonderful teas but this one caught my eye. 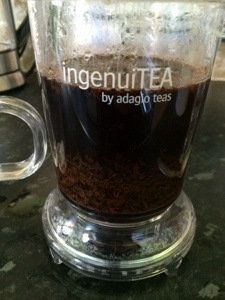 Brewing up, I made this up with slightly more tea than suggested as there wasn’t enough to split between two servings. 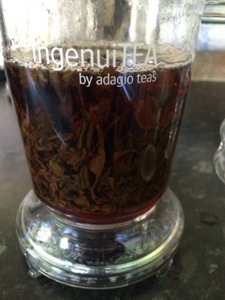 This tea smells gorgeous, real hints of sweetness and chocolate come out of both the aroma and the taste. It is almost like having a desert in a cup, it doesn’t feel like you are drinking a cup of tea even though you are. There is something very special about this tea that I have not tasted anywhere else, its an odd one to try but it is really lovely. I would order this again, if you do order from Tealux please do bear in mind it is quite long shipping times though. 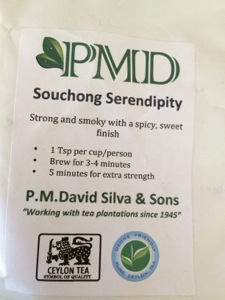 Another lovely free sample from the nice people at PMD, I brewed this up to find a typical Ceylon but with no real distinguishable taste or character to it. Don’t get me wrong it doesn’t make for a bad brew, it is in fact pretty pleasant but it isn’t the greatest Ceylon tea that I have ever tried. 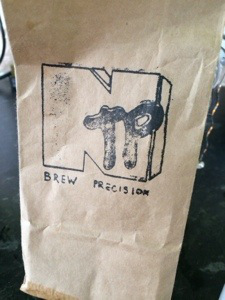 Brewing up to a lovely coppery colour, we have a tea that is reasonably light to drink and refreshing but it just feels very average and nothing extraordinary. I know I can’t like every Ceylon tea but this is just quite plain. Happy to have got this as a freebie, may have felt let down if I had paid for it. I see Darjeelings like I see champagnes or single malt whiskeys, just because they are viewed as a high quality product does not mean that I will like them any the more than anything else. 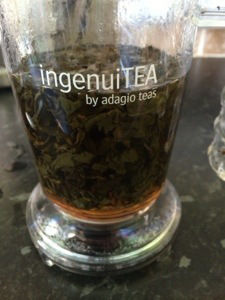 I have had a mixed experience with these teas and have found some that I have tried to just be far too astringent and just not nice to drink. 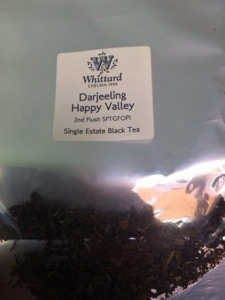 This Happy Valley Darjeeling kind of swung more into being likeable as it doesn’t suffer the astringent issues but it does leave a nice astringent taste on the tip of the tongue as an afterthought. I got this as a free sample (hence the small quantity) but I wouldn’t buy it again. At that price point it would have to be something outstanding and this for me is nothing special I’m afraid. 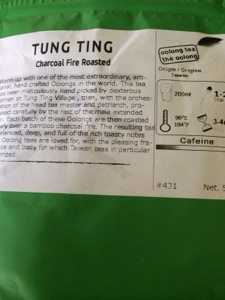 For the Darjeeling lovers you may well enjoy it but this hasn’t converted me.